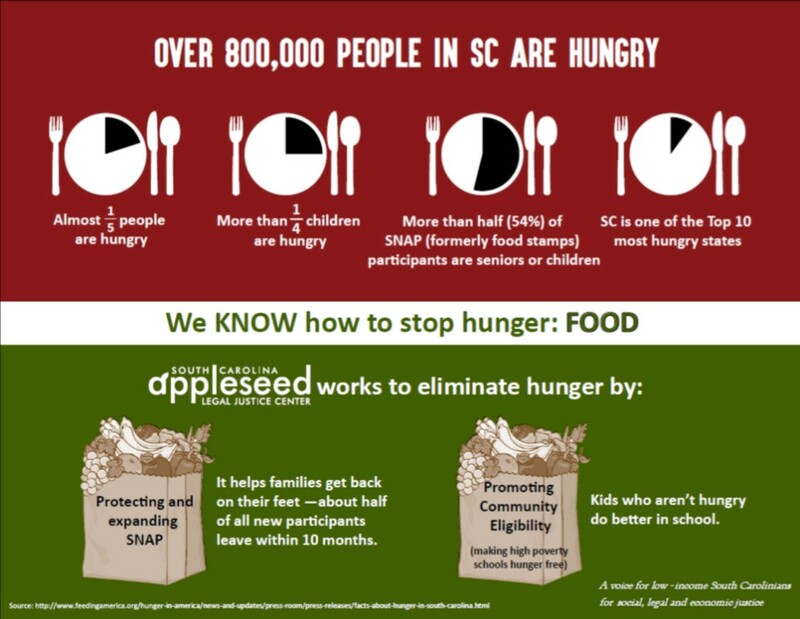 SC Appleseed advocates at the local, state and national levels for improved access to nutritional food for low-income South Carolinians. Through our Hunger advocacy and awareness programs, SC Appleseed works to ensure that federal assistance, including food stamps, now known as the Supplemental Nutritional Assistance Program (SNAP), and afterschool snack and summer nutrition programs, are available to all eligible households throughout South Carolina. This work includes training local advocates in the food provider community, so that they, the people on the ground, can improve SNAP enrollment and the distribution of other food services to community members in need. Community Eligibility: SC Appleseed is working with the SC Department of Education and local schools to ensure all eligible school districts in South Carolina participate in the Community Eligibility Program. This program allows all children in qualifying schools in low-income areas to receive free breakfast and lunch, without requiring each student to be individually approved. 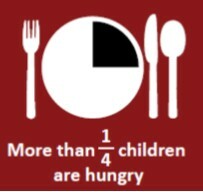 This significantly reduces administrative work for the schools and allows them to focus on the important thing – feeding hungry children, so they are better equipped to excel in the classroom. Disaster SNAP Benefits: Following the catastrophic 2015 flooding across much of South Carolina, SC Appleseed worked closely with the South Carolina Department of Social Services to ensure emergency benefits through the federal Disaster Supplemental Nutritional Assistance Program were available to all eligible South Carolinians affected by the floods.